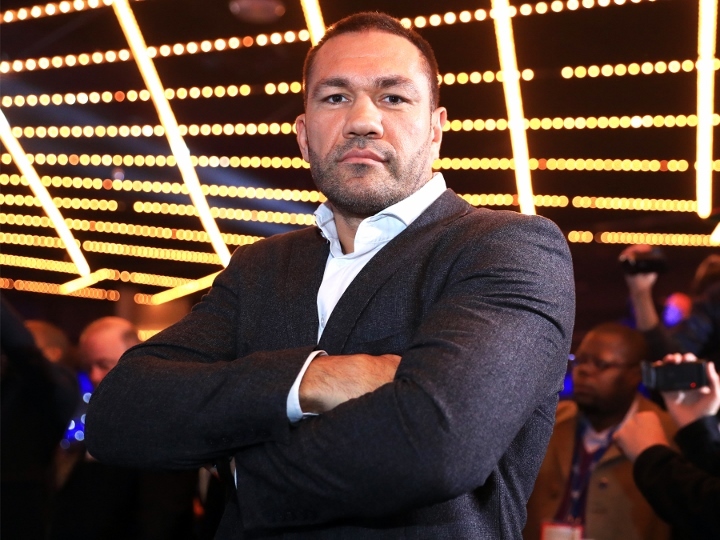 Kubrat Pulev: After Dinu - I Want My Revenge on Oscar Rivas! Pulev-Dinu and the featherweight clash between former world champions Jessie Magdaleno and Rico Ramos will be televised live on ESPN and ESPN Deportes at 10 p.m. ET/7 p.m. PT. The entire undercard, including the returns of top 140-pound contender Maxim “Mad Max” Dadashev and welterweight Chris van Heerden, will stream live on ESPN+ beginning at 6:30 p.m. ET/3:30 p.m. PT. “Dinu is a hard, tough fighter. We fought in 2007 at a world championship in his home country in Romania. We beat Dinu, but it wasn’t easy. It was a hard fight. He is a busy technical fighter who throws a lot of punches. He gets emotional inside the ring. He is a stand-up fighter, meaning he doesn’t really bend to his left and right. I have to deal with his high volume of punches coming in hard. I need to concentrate at all times in the ring, be focused and then knock him out. I want the knockout real bad. That is all I think about. Me getting my hand raised, looking down at him." “After this, we want Oscar Rivas. We fought at the 2008 Olympics in Beijing. Rivas won that fight in a decision, and it still torments me. I want that fight bad and am asking Top Rank to do it. I saw what Rivas did to Jennings, but Rivas will pay the price for doing what he did to me at the Olympics." "That defeat against Miller was more meaningful than any of my wins. I feel that I jumped in at a very high level and the experience was good for me. If I could box for 12 rounds the way I boxed the first three rounds against Miller, I can beat anyone. I am prepared to do that now." "A win means everything. Pulev is the mandatory challenger in the IBF, and with a win over him, I will be very close to getting my chance to fight for the heavyweight title." "My camp has gone very well. I am 100 percent prepared, and it will show in my performance on March 23." Let's go Rivas! Man up. Don't underestimate Dinu. He may pull off the upset. Pulev is very overrated. He is somehow top 10, but he hasn`t done **** after a loss against Klitschko many years ago. His best win is split decision against Chisora.